In 1985, Oderings Nurseries purchased this property and we began extensive renovations. On the 25th of September this Philpotts Road branch began trading. To greet our customers at that time was (and still is) a colourful character by the name of Brent Gardner. Brent has been with the company since he left school. In 2001, we believed a revamp was needed to improve shopping conditions for this busy Oderings store. The shop was extended and now offers an open, clean and relaxed atmosphere. 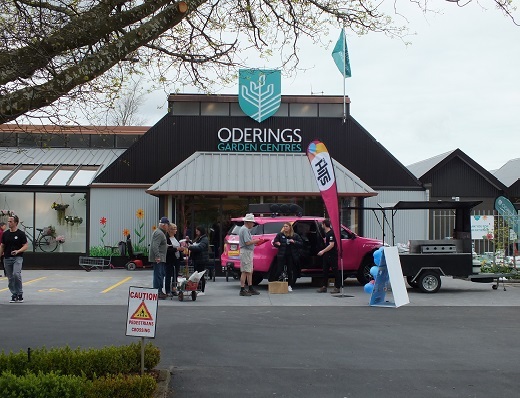 Oderings Philpotts has a massive range of Landscape products by the scoop, and also offer a courtesy trailer hire in Christchurch upon request. As well as retail, the Philpotts Road store also has a wholesale growing area which produces around one third of the total Oderings shrub and tree selection sold in our North and South Island stores. The staff at Oderings Philptotts Road are as diverse as the customers they serve, and the staff continue to grow in knowledge which they are willing to pass on to you. So why not pay them a visit! From February 1st 2019, you can exit left onto QEII Drive from our store. Thanks for your patience during the Northern Corridor upgrades.